Gold is considered a universal trading commodity which is likened to timeless money. It can be traded in various manners such as cash payment through bank wires as well as cashier’s check with an immediate delivery. These transactions happen frequently everyday where the agreed price benchmarked is known as gold’s “spot” price or “cash” price as commonly called. Many traders of gold insist on a minimal ounce per transaction at any spot price. A common mistake made by new or novice investors trading gold is referring to the futures price of gold rather than the spot price. The futures price refers to the market’s price quote generated for a certain quantity of gold delivery which normally is about 100 ounces at some point in the future. The futures price of gold is usually higher than the current spot price as storage, delivery and finance charges are to be included because there is no payment until delivery is done. Another common mistake with gold trading by investors is the neglected transaction size. The more the number of transactions, the more time, effort and expense incurred by the broker compared to one transaction of a larger gold quantities. There is the ‘morning gold fix’ and ‘afternoon gold fix’ which refer to the spot prices of gold at different times of the day. An inexperienced investor may misunderstand that the terms refer to the same spot price which is untrue unless the gold investor is an important client of the major gold trading institutions. This tradition was set over 400 years ago when London was set as the world’s center of gold trading where both big gold producers and their consumers transacted with major gold-trader banks meeting twice every business day to determine the gold price for their main clients. Bankers would agree on a ‘fixed’ price which matched their sellers’ volume to their buyers’ volume; once at 10:30 a.m. (the ‘Morning Fix’) and another at 3 p.m. (the ‘Afternoon Fix’) London time. Other gold dealers worldwide would take the latest ‘fix’ as their transaction benchmark price until the next ‘fix’. Nowadays, the fix prices are similar to the latest or most current spot price which can change at any time depending on the futures exchanges. The top 5 banks which meet 2 times every business day to determine the gold ‘fix’ are Deutsche Bank, Barclays Capital, Société Généralé, Scotia Mocatta and HSBC Bank, USA. It is not possible for an ordinary or small investor to transact gold at the ‘fix’ prices as the gold value per ounce is extremely high which only major bank customers can deal in. 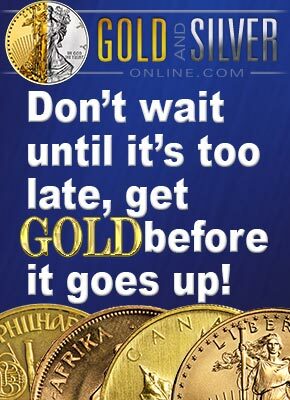 Most gold investors can only handle smaller quantities and accumulate their gold collection in that manner.